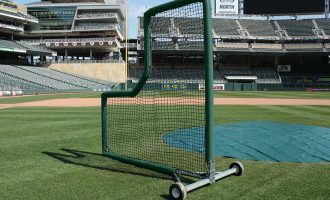 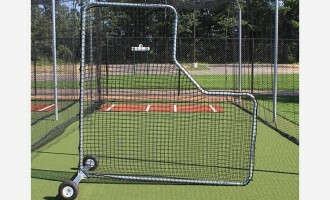 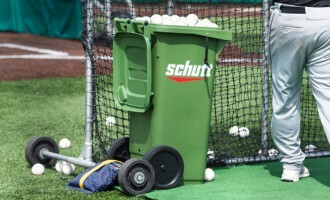 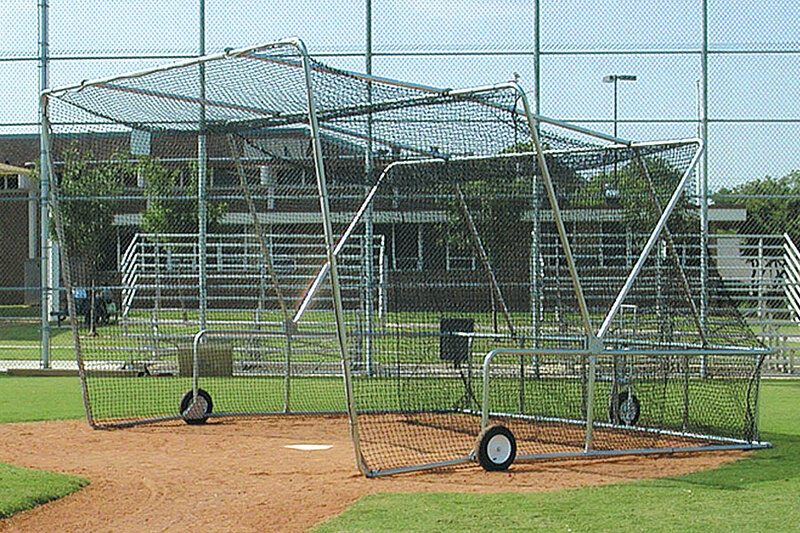 Folding Portable Backstop is perfect for batting practice and folds down to just 3-¾' high and features levered steering linkage for easy maneuvering. 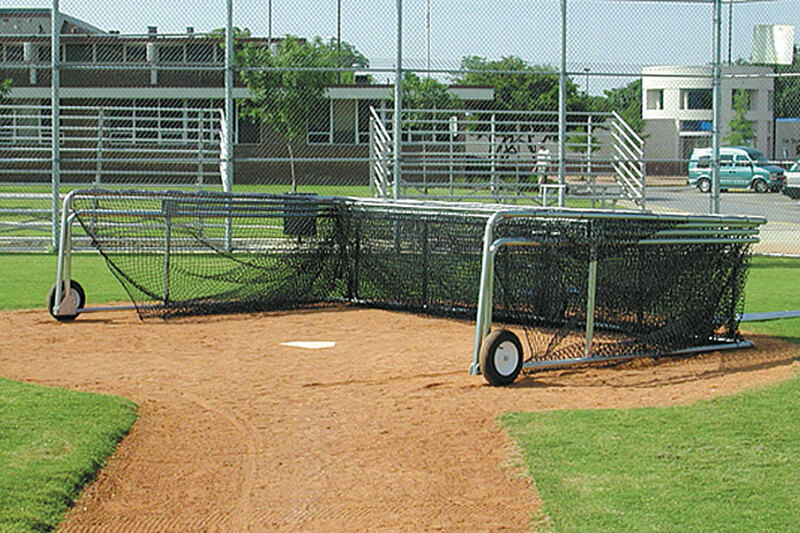 Constructed with 2″ steel tube with 16″ pneumatic wheels with 3.5 mm weather-treated polyethylene net. 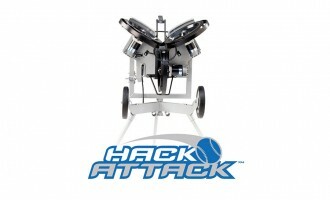 Ships via truck.